These gorgeous Gardenia bushes have a nice neat shape, but what you can't see in the pictures is the heavenly fragrance when the buds open into the lovely cream flowers. 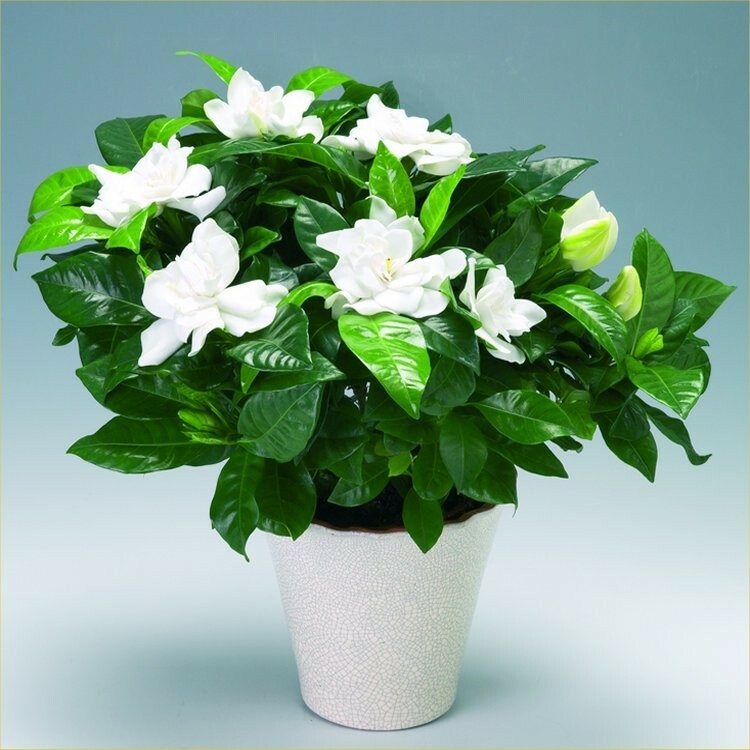 Why not spoil a loved one or your yourself with a luxurious gift of a a fabulously fragrant Gardenia Plant? Usually only offered as small young plants, these are established and covered in buds, ready to delight. Gardenias capture both the senses of sight and smell with sumptuous pearlescent blooms, glossy foliage and exotic perfume - one of the finest in the plant world. Delivered with buds and just starting to bloom, this Gardenia is set to tantalise the lucky new owner with a long-lasting display of opulent beauty and fragrance. Gardenia's are always very popular, are easy to care for and long flowering. Supplied in a decorative white pot as pictured, every plant is studded with masses of flowers and buds ready to open, and is presented in a matching white display pot. The lucky recipient simply has to position and enjoy.